Remember Big Cass? WWE sure doesn’t want you to. His new ring name, however, is not too dissimilar from his previous one. 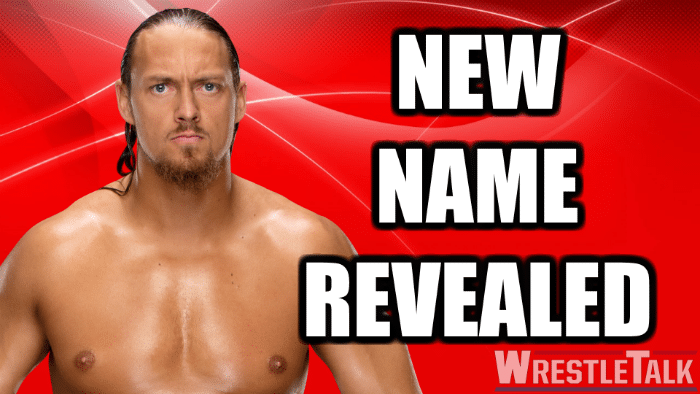 Former WWE Superstar Big Cass has finally booked his first pro wrestling appearance since being fired by WWE back in June for a number of speculated reasons. Big Time Wrestling, an independent wrestling promotion, advertised a few familiar names for an upcoming show if you’re a WWE fan. Along with Big Cass shown are James Ellsworth, ‘Hacksaw’ Jim Duggan, Mick Foley, Tommy Dreamer, and Emma. Of course, WWE is notorious for trademarking the names of its wrestlers so they can’t be used when those wrestlers leave WWE. That left Big Cass in quite a predicament. How could he capitalize on his fame from wrestling on WWE television without using his name? Thankfully, it appears that he put a lot of thought and effort into it before coming up with the perfect name: Big Cazz. Cass, who was born with the skill of being seven feet tall, something that you cannot teach, will appear at an upcoming show for Big Time Wrestling on September 21. 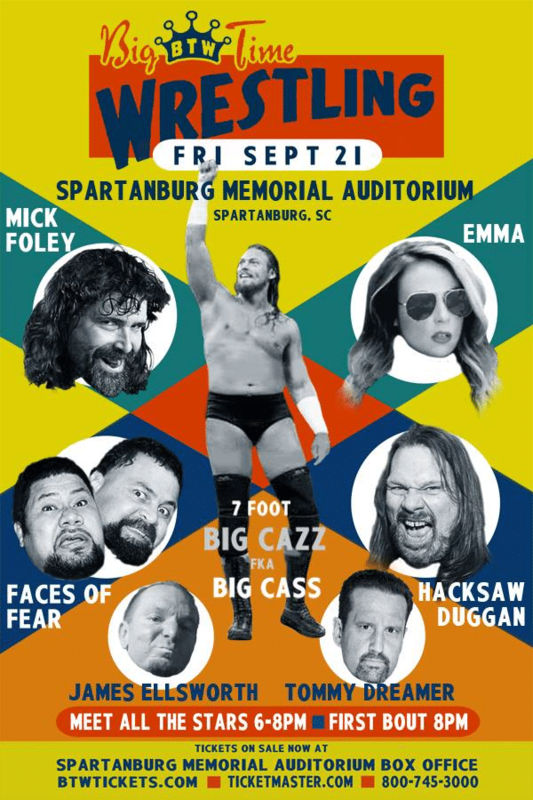 Cass will join other former WWE wrestlers like Tommy Dreamer, James Ellsworth, Hacksaw Jim Duggan, Emma, and Mick Foley at the show in Spartanburg. A former tag team partner of Enzo Amore, Cazz had heat in the locker room at WWE as far back as July of 2017, when gossip said wrestlers took issue with Cazz’s outspoken support of President Donald Trump. That wouldn’t have affected his job security, however, as the McMahon family are big supporters of Trump, who is a member of WWE’s Hall of Fame, and Linda McMahon even serves on Trump’s cabinet as head of the Small Business Administration. But Cazz’s difficulties continued, with the wrestler ignoring orders to put extra flavor on a beatdown of a little person during WWE’s European tour and breaking down a bathroom door on a tour bus after accidentally becoming locked inside and believing it to be a prank by his fellow wrestlers. In a petty move usually reserved for convicted felons, WWE declined to wish Cazz the best in his future endeavors when they announced his release. The new Big Cazz was released months after his former tag team partner, Enzo Amore, was also future-endeavoredamid accusations of sexual assault.